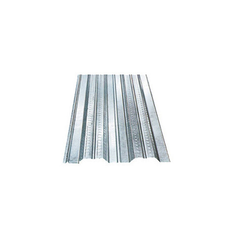 We are a leading manufacturer & exporter of Roof Decking Sheets. In addition to this, an effective spanning of the roofs can be greatly achieved by using these sheets for roof decking. The Decking Sheets is constituted by a profiled sheet onto which a layer of concrete is poured. These are manufactured using superior quality material and advanced technology in adherence with the highest quality norms and standards. These raw materials are sourced from trustworthy vendors, who have been working with us since long duration. We are engaged in the manufacture and trade of a vast selection of Roof Decking Sheets. 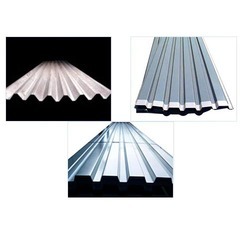 Made available in various thicknesses, the proposed batch of sheets is manufactured using premium quality raw materials obtained from our reliable vendors. Acknowledged for their sturdy construction, longer functional life and leak proof nature, these sheets are massively demanded among our customers.